Did you know I used to work at a Hallmark store? Yes, in high school and college I worked at a little shop that sold Hallmark cards. It was called The Hello Shoppe. Don’t you just love that little name? It was teh cutest little store. Our busiest times of the year were Christmas and Valentine’s Day. No surprise there. I remember we would decorate with the red and pink hearts. Just a few days after the first of January we would get boxes of cards. Spending hours, I would unpack the cards one by one. Organizing is something that is in my blood….so putting the cards together in an organized fashion was right up my alley. At Christmas we would sell a lot of gifts; but on Valentine’s Day it was all about the cards! I remember cleaning out the card shelves getting ready and then spending almost a week getting all of the cards out. It was always such a big job! We would always sell so many cards during those two times. I loved looking at the cards during the slower times. Browsing the racks I would find just the right card for my boyfriend (future husband) and then even my friends who lived far away. A lot of my paycheck the weeks leading up to Valentine’s Day went to buying cards for others! My love for words and cards still hasn’t dwindled. I love cards. I love getting cards and I love giving cards. Cards can mean so much! My budget has shifted (and the price for store-bought cards has increased a lot) and I don’t have the time or the money to buy a card for everyone! 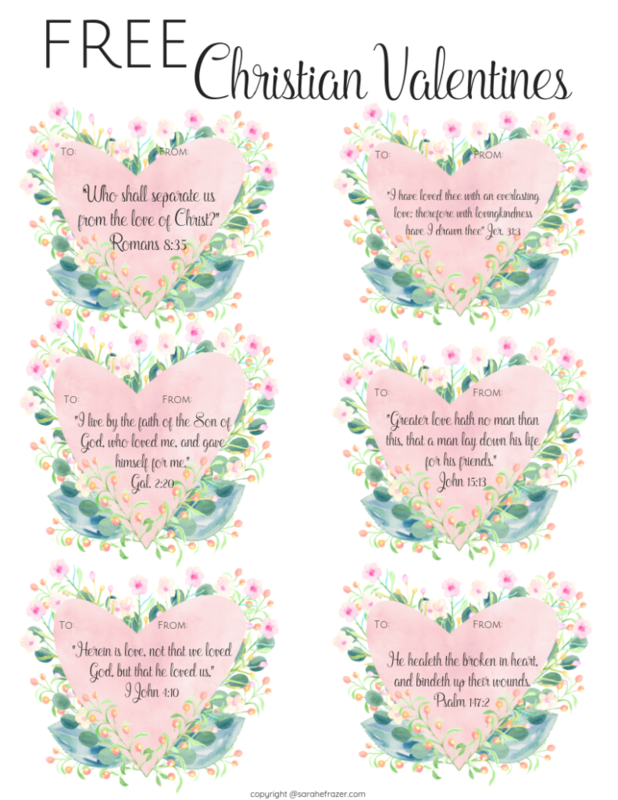 So I decided this year to create my own Valentines. And here they are! you can download them for FREE by clicking here or on the picture below. I hope you will consider this…..
Sending cards lifts your spirit. Sending a card to someone who is hurting will offer a little hope. Sending cards will spread the love of God. Sending a card can mend a broken relationship. And sending cards can be a way to open up a new friendship! So take heart dear friend! Share your love. Share God’s love. 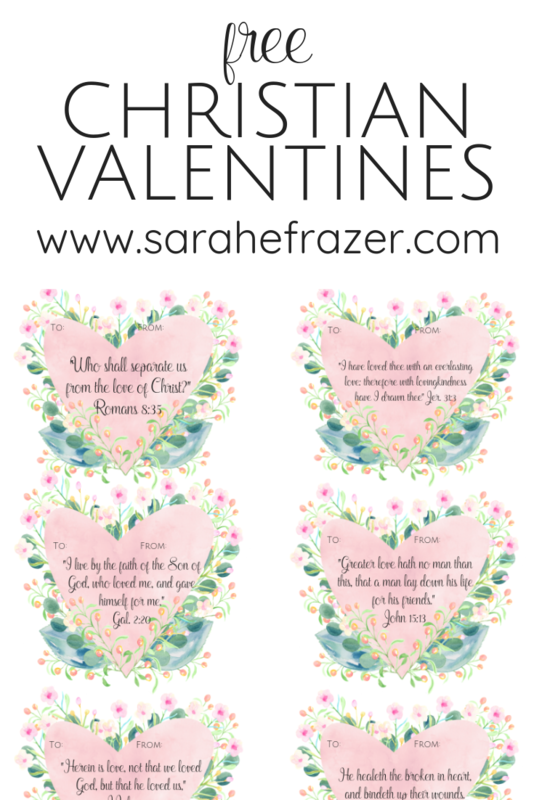 Print off the cards and spend some of GOD’S love this Valentine’s Day season!